Just because it is a holiday and a religious celebration doesn’t mean that Easter has to break the bank! 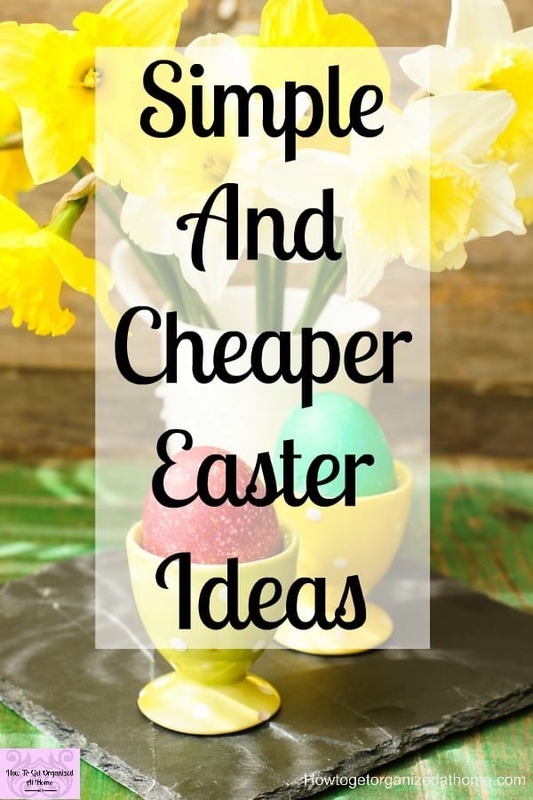 There are loads of cheap Easter ideas that you can make and do at home that won’t destroy your budget, especially if you plan for them in advance! 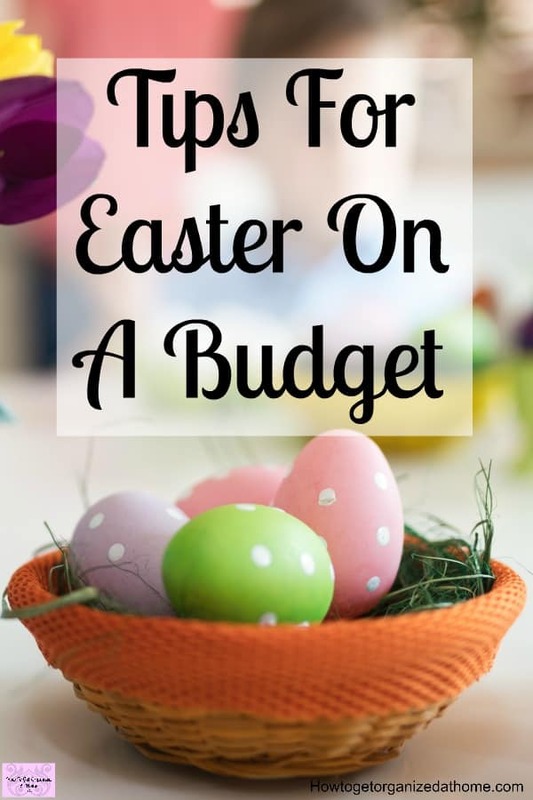 If you plan to buy Easter gifts, then budgeting for the expense is important. It means that you plan the money you intend to spend on Easter with no overspending! If you don’t have much money this Easter, don’t worry it doesn’t have to cost a lot! Children don’t need lots of chocolate and other goodies are simple and easy to help you celebrate this time of year without going over budget! It’s more about making memories as a family rather than how much you spend on chocolate and Easter eggs! The most important money-saving tip is to wait as long as possible before buying your chocolate eggs, this ensures they are at the cheapest price when stores are trying to get rid of there eggs! To be honest, when mine were little I brought Easter eggs after Easter when they were at the lowest price possible. There is a risk that the eggs will sell out before you have a chance to buy, this did happen one year and they all ended up with no chocolate eggs! This ensured they always got the biggest egg that I could afford, and they really didn’t know the difference between Easter Sunday and Easter Monday. If I purchased before the event I wouldn’t have been able to afford the larger eggs, so it was a compromise, they got the better options if they were patient and waited too! If you are looking at spending any money, then it is important to put this in your budget! This ensures that you have enough money and you don’t have to borrow money from other areas of your budget or put the expense on credit! 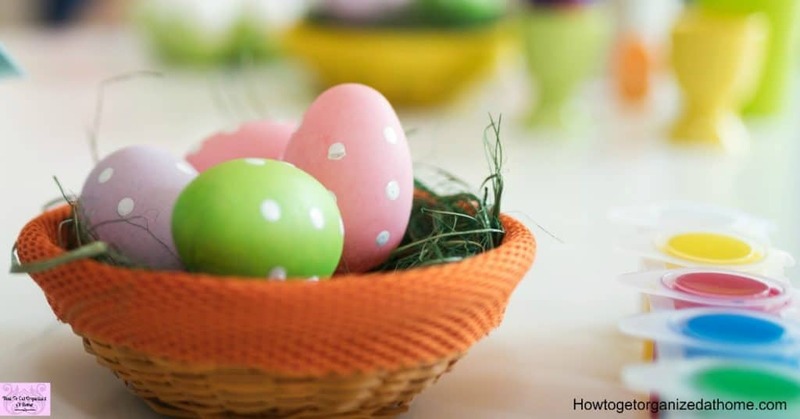 While participating in organized Easter egg hunts are fun, it is just as much fun and cheaper, to create these on your own and you don’t then have to give candy as prizes as you have control. This can save you money and sanity as you limit the amount of sugar you give your children! You don’t even have to use chocolate eggs, you can have little cheap toys that they can find or even coloured balls in exchange for a small gift at the end. 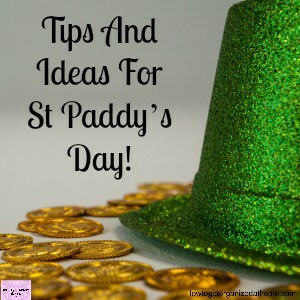 It’s simple and fun and you can prepare the prizes ahead of time and you don’t need to spend much money! The choices here are limitless and so much fun! Creating a tradition within your family, one that you do each year is a great way to spend time together having fun! Paint fresh eggs, you do need to be careful that they don’t get dropped! Dye eggs as you cook them, boiled eggs with a drop of food colouring is a great way to eat eggs Easter morning! Buy wooden eggs which you decorate and keep for years? If you were looking to make money you could decorate them and sell them! Make your own papier-mache eggs, use a balloon for the shape and then paint or decorate them however you choose! Decorating your own eggs is lots of fun and it can provide those special memories that you create with your family and friends. You can use these to decorate the different areas of your home; alternatively, it can make a great talking point creating eggs for people, capturing their personalities in their egg design and giving them as Easter gifts! There are many different ways that you can decorate the eggs, check out this list of ideas which are not expensive but look great! These will brighten up any area or just the place you choose to store your eggs. Check out 20 Fun Things To Do This Easter if you are looking for more inspiration! 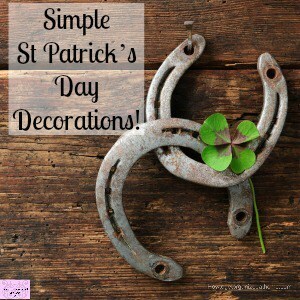 It’s OK to buy decorations if you haven’t time to make your own or you don’t have a creative outlet! This gorgeous Easter wreath is perfect for adding a touch of the season to your front door! Looking for an Easter gift for a family member or a friend? This Easter family sign is a beautiful gift to give! Decorate your home with a simple and beautiful Easter sign! Sticking to a budget is hard, especially when it’s holiday time! I’ve had family member’s trying to make me feel guilty because a meal out was not in our budget and it caused some upset! But I stuck to my budget, they respected my decision later, but it made for a heated discussion at the time! I hadn’t made if clear in advance that this wasn’t part of the plan I had for our family and looking back I should have been upfront that a money was limited! It’s possible to have a fun time and enjoy the holiday season with your family and friends without breaking the bank but making memories that will last a lifetime! Don’t feel pressured by society to spend more than you can afford! If you are looking for budgeting advice I recommend Dave Ramsey, he is awesome! Enjoy the season with your family and make it the best that you can! 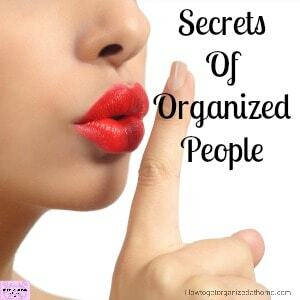 These are some really good tips. I would also suggest that you look out for coupons on items to make your Easter dinner at home less expensively. These are great tips! We usually ‘dye’ Easter eggs with the dye kits, but I think maybe this year we will find other ways to decorate our eggs!